The School for Dental Care Professionals (DCPs), University Dental Hospital of Manchester aim is to provide robust, quality education and training for all DCPs within the North West of England by delivering quality courses which will enhance oral health care provision to the public. We provide state of the art training facilities for GDC pre-registration and post registration programmes. We deliver the highest standard of training and education and have access to specialist lecturers who provide a wealth of knowledge and clinical expertise. This enables us to achieve high pass rates in all qualifications offered. We are an accredited centre for City & Guilds, The National Examining Board for Dental Nurses (NEBDN) and The Royal College of Surgeons of Edinburgh (RCSEd). Conveniently placed on the 3rd floor of the staff entrance of the University Dental Hospital, we are in the heart of the Manchester University campus and within close proximity of Manchester Royal Infirmary, Royal Manchester Children’s Hospital and the Manchester Royal Eye Hospital. We are now recruiting Trainee Dental Nurses across the North West region for our Level 3 Diploma in Dental Nursing programme for September 2019. All trainees will be fully supported throughout this programme by our team of highly qualified tutors and assessors with GDC registration. undertake an informal interview to ensure you can meet the requirements of the course. I am responsible for the management of a highly skilled workforce who organise and implement training programmes for a variety of Dental Care Professionals. Oral Health Education, Conscious Sedation and Orthodontic Nursin. University Dental Hospital of Manchester – Certificate for Dental Nursing, City and Guilds Level 3 Diploma in Dental Nursing. Manage and support trainee dental nurses working towards the Advanced Appretiship in Health – Dental Nursing and the Level 3 Diploma in Dental Nursing. Observe and assess trainee dental nurses using various methods of assessment to meet the requirements of the National Occupational Standards. Complete learner educational reviews at regular intervals throughout the course. Track learner progress through the electronic portfolio – one file. My experience consists of working in practice as a dental nurse and practice manager. I have also been employed by the Post Graduate Deanery as a Development Facilitator providing advice and support to the dental team to further their personal develpment. Edexcel – Level 4 Award in the Internal Quality Assurance of Assessment Processes and Practice. Managing supporting and assessing groups of trainee dental nurses whilst they are undertaking their training on either the Advanced Appreticeship in Health – Dental Nursing or the Level 3 Diploma in Dental Nursing programme. Managing, supporting and assesing groups of trainee dental nurses whilst they are undertaking their training on either the Advanced Apprenticeship in Health – Dental Nursing or the Level 3 Diploma in Dental Nursing programme. Internal Quality Assurer to programmes for dental nurse training. I am also employed within a General Dental Practice and assist the clinicians with a variety of dental procedures, maintain patient care, decontamination, sterilisation procedures and administration and reception duties. I am a Dental Nurse Tutor and deliver the primary dental nurse qualifications at the school, these include programmes for the Advanced Apprenticeship for Dental Nursing and the City of Guilds Level 3 Diploma in Dental Nursing. 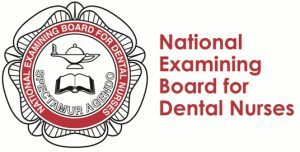 I am also actively involved in the delivery of NEBDN post registration qualifications, these include Dental Sedation Nursing and Dental implant Nursing. Planning and preparing lessons with delivery of knowledge to the Level 3 Diploma in Dental Nursing Qualification. 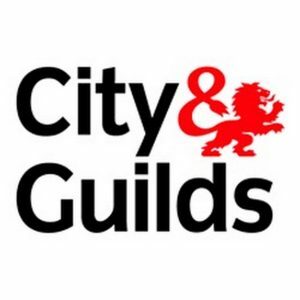 To support learners in acheiving a pass in the City and Guilds Level 3 Diploma in Dental Nursing. Full chair side assistance with a variety of dental procedures and patient care, taking and processing of radiographs, taking of dental impressions, decomtamination and sterilisation procedures and reception and administration duties. Job title: Dental Liaison Officer/Development and Training Administrator. I am responsible for promoting a customer led service by providing an initial point of contact for the School for Dental Care Professionals. My main role and responsibilities is to promote and recruit the school’s pre and post dental training programmes for Dental Nurses. • Visiting schools, colleges, dental practices and careers events to promote our Dental Nurse Training programmes. • Planning and organisation of meetings, events and interviews. • Recruitment and placement of Trainee Dental Nurses to a General Dental Practice placement. • Fulfilling the administration and clerical tasks to the vocational programmes delivered. Level 3 Diploma in Dental Nursing. Certificate in Dental Impression Taking.